Concept art for 4 characters. 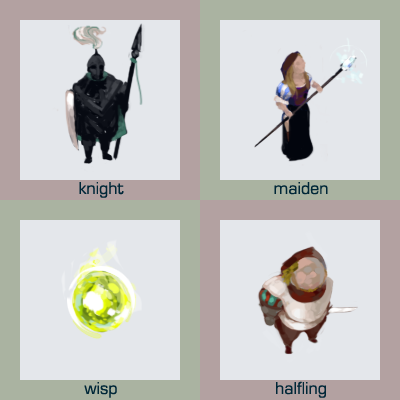 Knight, (magician) maiden, wisp, halfling. Slightly cartoony. Attribution is not required; if you want, then attribute it to blarumyrran@gmail.com .